I claim no ownership over the intellectual property depicted in this demo. I just wanted to make it to spend some time looking at the sun. This is meant to be one of the more calm oculus experiences - seated or not[!]. This is my first Unity project and my first Oculus project so there's not a whole lot of interactivity at the moment. See below for a list of potential future enhancements. This demo was built in OSX using Unity4.6Pro with the current 0.4.4beta SDK and Unity integration. I get 75fps with no issues on a GeForce680MX [2gb] and I've had users testing who reported solid framerates on a 660 also. Win7/8: Note: This demo runs great in win7, I've not tested in win8 however. The xbox360 controller integration is missing here so it's mouse and keyboard for you. Win7/Win8 - Note: this build has not been tested on win8 Xbox360 controllers work fine here with the standard mapping in place. Mouse and keyboard also works. 'WASD' - Forward, Strafe Left, Backwards, Strafe Right. 'Q/R' - Comfort turn 45 degree increments left/right. 'F' - FPS and Oculus diagnostic display - does seem to open lateral portals to the next dimension though, so use with caution. 'G' - Oculus cube/grid diagnostic. 'R' - Reset View [note: this is performed upon launch anyway but if your DK2 camera is in a non-standard location or you find yourself staring into the floor, press this to reset]. VFX switches - I've left these active so interested parties can see the difference they make to the demo appearance. 'L' - Toggle tone-mapping on/off [this will make the scene a little brighter, but lose highlight detail in the sun etc]. 'O' - Toggle bloom on/off. - player avatar so you can sit on the couch and have legs! - swap the demo couch guest for someone a little better dressed for space travel. This is a really beautiful experience, and I hope it gets some attention. One of the best relaxation scenes yet! How much time did this one take you to do? This demo took me about 3 months, working about 2-3 nights per week. Learnt some cool new things along the way. Modelling and texturing I think took the longest. Thanks for trying out my build Drash! I really appreciate it. Downloading now. Will try with score in background if it isnt in demo itself because of copyright. WOW, just beautifull! 8-) Thumbs up and thanks for sharing! Hey Witboy, thanks for your feedback about the music levels. I wanted it to be as you described, the music being louder when you're in the OD, and the ship noise being heard instead when you're in the corridor/lab. Just didn't want there to be too sharp a falloff when you go from one area into another. The music has some good dynamic range and starts off quiet, but I'll take a look at the levels etc. FenderF4i, thank you for trying it out The movie gets 'interesting' late in the piece. YMMV. Nevil, glad you enjoyed it! I also liked the detail level of the interior and the sound. I will definitely show this to my friends and family as a VR demo! Heh, yeah Alien Isolation scares the junk outta me! It's soo good. I had to put dust-motes into the observation deck after seeing how well it was done in AI. Thanks! My hope is that this demo is one of those people can use for first-timers who are a little more susceptible to simulator sickness. I always get a kick out of showing new people VR, especially that moment when you remind them that they can freely look around. Pretty cool with some nice little details. Never seen the movie. I especially liked going up against the glass and leaning way out to see the white surface of the vessel. Really cool, great idea for a VR scene. Ronczarnik - That's the heat shield from the front of the ship. There's some excellent CG moments in the movie, of this disc reflecting the sun's heat. It's a blast to look down when you're right up there huh. MajorLag - thanks! Glad you enjoyed it. would like to see the girl's eyes move a bit. but the audio atmosphere is already well treated. Thanks Roulito, no this is definitely a spare time thing for me right now. Glad you enjoyed it and yeah there could be better noises in the lab I agree. I'll add it to the list. I just tried coffee without words last night and it was stunning. I'd love to be able to animate the lady on the couch like that, it would add even more presence than what you felt. Just tried it after seeing it on the WEARVR Top 10 (I did a double take when I saw the name, I love this movie) and I am so grateful you took the time to make this! 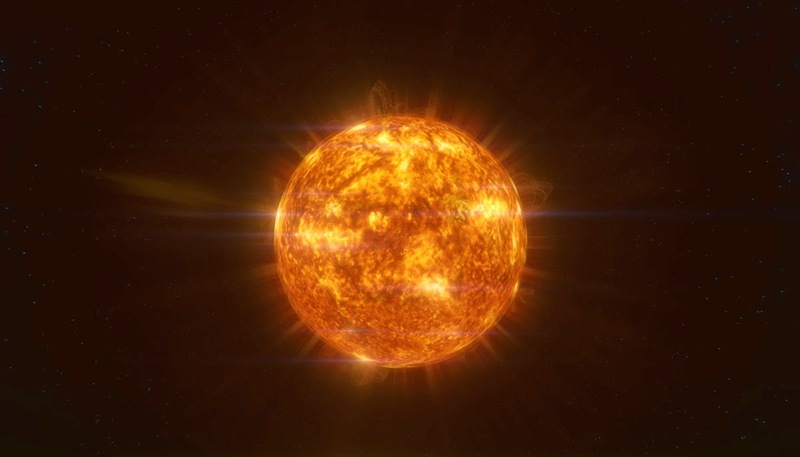 Your Sun animations are beautiful, and the floating particles are a great touch. As you mentioned in the original post, including the transit of Mercury would be a pretty awe-inspiring reminder of scale. Regardless, great work, this demo made my day! I think this work is extremely beautiful and it is very commendable that you have spent so many of your personal hours on this, for me it was very much worth it. My last VR help note was to get spaceengineer 75$ towards him getting a Dk2, here I would like to say I have contacted the author of coffee with out words and asked that he come into the thread or at least ping you to provide a help note on the movement of eyes. Tore will you be able to come into the thread or provide some detail on the excellent eye tracking aspects, as stated if you require any thing let me know. thanks Julian, happy user here with this experience hopefully you and tore can get to talk and be friends. Facebook are wise to have purchased Oculus, I would love to share this kind of view with a real online friends with the strong ambiance, very emotive, life is definitely about having and sharing heart felt feelings. 2. Could you add sound at music appogeum of screeming gohan turning ssj2? That is a fantastic demo, definitely a keeper. The current female model looks like she is a non-rigged mesh of a 3D scan. It should be possible to cut the polygons containing her eyes and put eyeballs in their place and animate them, but I suspect that a character that shows no movement other than the eyes (no breathing etc) might look a bit creepy, like someone was trapped in a paralyzed body. I would replace the model with a rigged one and add a subtle sitting idle animation. It might be difficult to find a model and an animation that look as good as the current pose though. I am actually surprised how well the static model works in this demo. It might even be that an animated model draws too much attention away from the sun, but that needs to be tested. Bud01, thank you for your kind words and the invite for Tore. I absolutely appreciate the feedback and contact. I've not dealt with skinned meshes in the game context yet so this will be a good place to start. Tore, thanks for turning up and offering your tips. As I said earlier I was blown away by Coffee Without Words and the female character in my scene could really use this sort of motion. In order to use this model and not have to turn the neck too much I might have to have her stare at you disapprovingly if you get between her and the sun which should add to the presence! I have much to learn yet about game dev and making decent interactive characters is on my list. And Panmaster, I'm sorry but I don't really understand the context for Gohan's scream so I probably won't be doing that but with regard to your scale feedback, it may help if you experience this demo standing up as I do not have a sitting down motion in place yet for the couch proximity. That might help make the scale feel better. This is fantastic work! Im a huge fan of this stuff and it reminded me of some Doctor Who stuff! Great job. Loved it. I seriously loved it thank you so much for the experience. 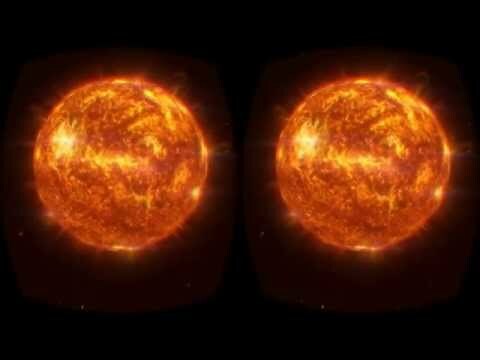 I used this demo to fine tune my oculus rift and it works smooth and with no glitch or lag. Well done! I would like to send you both $30 dollars on Friday towards any online screen share you may have between yourself to talk VR in detail, I am not involved only as a seed towards VR progression. Tore your blog is universally respected for its interesting content, you are an interesting person ! I will check both your profiles for relevant details for PayPal $30 on Friday else if it is not online PM me those details. If you have any questions post them here. Thanks, but save that money for something else, I really love this demo so if there is anything I can contribute, I would be very happy to help for free of course. I am myself very curious what effect an animated character has. Julian, I'll send you a prefab that you can drop and place in your scene as a quick test. It's a female with a sitting animation and eye movements. Let me know if it is worthwhile exploring the direction of animated characters in this demo further and feel free to ask me anything if you have questions. This is an excellent demo. Thank you for making it for us to experience. I especially like going up to the door and peaking through the small window. On the DK2 with the sensor 5ft a way makes you think your almost there! My only criticism is that I am experiencing ghosting on the tablet device and the lights on the floor near the control room. It seems pretty extreme so wondered if you have Low-Persistence on? This demo is the only one where I experience it, but a minor gripe considering how brillienat it is. I'd love to see this developed more! @anthonyp01: There is no blurring effect therefore i think persistance is on the whole demo. @qsek No it's not motion blur. It only does it on the tablet device and the lights on the floor in the control room. If you move your head left to right you get like a black shape moving around it. Almost like a shadow effect. As no one else has mentioned it this may be an issue particular to me, but the girl's complexion looks very mottled; like the colour is only 16 bit. I've tried turning up everything in the nvidia control panel, toggled things on/off - nothing seems to have an effect. Oddly enough, I also see that mottled shading on the desk lamp in the oculus configuration utility demo scene. Any ideas why I'm getting that? That's the infamous "black smear effect". It's been discussed a lot already. It's a "characteristic" of the display used in the Rift. Any image with bright objects against a pure black will show that. If you want to know more about it, just search for "black smear" on the forum. I gotta say I agree Bud01 and although I thoroughly appreciate your enthusiasm, I plan to look at doing this stuff either way. Maybe you should put the money towards SpaceEngineer's much needed DK2 cause his stuff is rad? Tore, I'll buy your prefab in a flash [to support your work, and to save me time] when I get to the point of integrating a new skinned mesh. Looking at all the things I'll need to do to put it in now, but it'll be a little while.